A Sweet Desert Retreat! 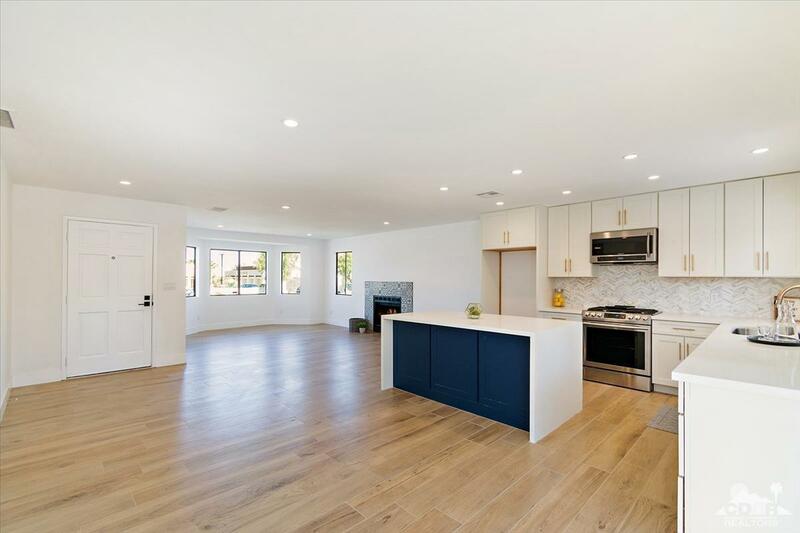 This newly-renovated home oozes charm and sophistication yet is simultaneously warm, bright and inviting! 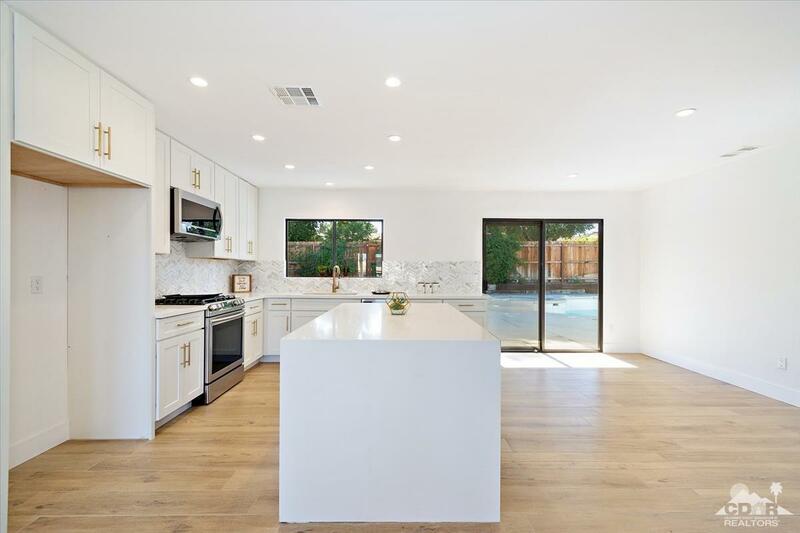 Situated less than a mile away from the world-renowned El Paseo Shopping District, and less than a block away from the highly-desirable George Washington Charter School, it is the perfect home for a family or those who are looking to enjoy the Coachella Valley in season. Starting with warm-toned wood-like porcelain tile, the entry flows into the living room featuring a gorgeous Morcoccan-inspired tile fireplace. 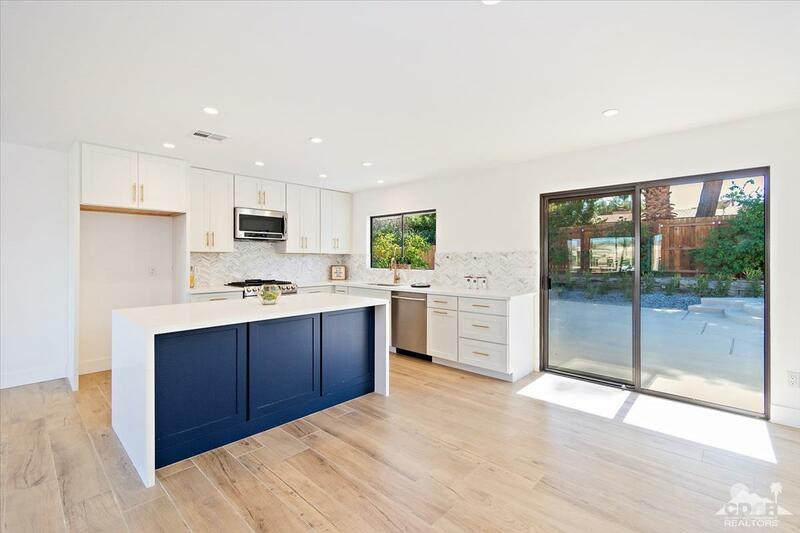 Next you will see the out-standing kitchen space, complete with marble backsplash, waterfall counter island, new white Shaker cabinets and stainless steel appliances. Bedrooms and bathrooms have been given all new life with paint, flooring, modern fixtures and lighting. The backyard provides ample opportunity for enjoyment and entertaining with a re-plastered & newly tiled pool and elevated spa. This could all be yours - come see it today! Listing provided courtesy of Michael Alejo of Keller Williams Realty. ©2019 California Desert Association of Realtors. All rights reserved. IDX information is provided exclusively for consumers' personal, non-commercial use and may not be used for any purpose other than to identify prospective properties consumers may be interested in purchasing. Information is deemed reliable but is not guaranteed accurate by the MLS or Hacienda Group Inc. Based on information from the California Desert Association of Realtors as of 2019-04-24T15:41:04.35. All data, including all measurements and calculations of area, is obtained from various sources and has not been, and will not be, verified by broker of MLS. All information should be independently reviewed and verified for accuracy. Properties may or may not be listing by the office/agent presenting the information.